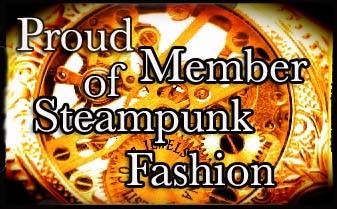 This is a community for steampunk enthusiasts from Nebraska, where they can post daily outfits, post info on meetups, post pictures from past meetups, i.e. This is the definition of steampunks, from the 'steamfashion' community: Steampunk is the science fiction of the steam age, re-imagined with the advantage of modern hindsight. Drawing upon the wealth of historical technology and the scientific fantasies of the Victorian and Edwardian periods, steampunk seeks to reinvent modern wonders such as the computer as the people of the age might have envisioned them. Following in the footsteps of Jules Verne and H. G. Wells, steampunk authors blend history, science and imagination into a world of wonder that might have been.